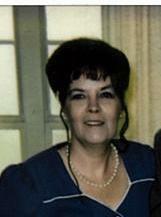 Linda E. Taylor, 74 of Ravenna passed away on Sunday April 14, 2019 at her daughters house with her family by her side. She was born January 16, 1945 in Ravenna, Ohio to the late Brooks and Marian (Greenshields) Foster. Mrs. Taylor has lived in Ravenna all her and enjoyed playing bingo. In addition to her parents, she was preceded in death by her husband John C. Taylor on February 21, 2011 and her sister Nancy Giannnini. Survivors include her children Tracy (Dave) Hopper, Barry Allen (Stephanie) Eckert, Todd (Laura) Taylor Terry Taylor, Robert (Amy) Eckert, Shawn Taylor, 22 grandchildren, many great grandchildren and her sister Mary Lou Priest. At her request cremation has taken place. Memorial calling hours will be Saturday April 20, 2019 from 4 PM until time of memorial services at 5 PM at Wayland Community Church 6355 Wayland Rd, Wayland, OH 44285 with Pastor Ron Simms officiating. Condolences and memories of Linda may be shard with her family at www.sscfuneralhomes.com.